Details for Notte Bianca 2016 were announced earlier this morning. This year’s Notte Bianca has been organised in collaboration with the Valletta 2018 Foundation. Notte Bianca, Malta’s beloved nightlong arts and culture festival, is all set to take over Valletta on Saturday the 1st of October. Organised by the Notte Bianca team and the Arts Council Malta, this year’s festival will once again see the capital’s streets and cultural venues come alive thanks to a carefully designed programme of events offering a variety of entertainments and experiences. The organising committee also unveiled the new Notte Bianca logo, the design of which is inspired by vintage Maltese bar and shop signs. As 2016 marks the three-year journey towards Valletta 2018 – European Capital of Culture, this year’s Notte Bianca has been organised in collaboration with the Valletta 2018 Foundation. By taking inspiration from the goals of Valletta 2018, the collaboration proved beneficial in transforming Valletta into a cultural city that is vital and relevant in this day and age. It is in this spirit that this year will see Notte Bianca take a big shift into the world of new and digital media in order to become a more immersive experience. Among the events is Design4DCity, an experiment in the sharing of knowledge and common space. Berlin-based activists Urban Action will be holding a four-day workshop that will culminate in a presentation concerning ideas for a better, more engaging, urban environment. Design4DCity will see Paris-based Nanotak Studio make their Malta debut. The duo has become renowned for creating ethereal, immersive and dreamlike sound and light environments meant to envelope viewers. After its great success last year, Karaoke ta’ Vera returns and will offer participants a unique opportunity to sing a song of their choice accompanied by a real, live band. ŻiffaŻfin also returns with a focus on contemporary dance. 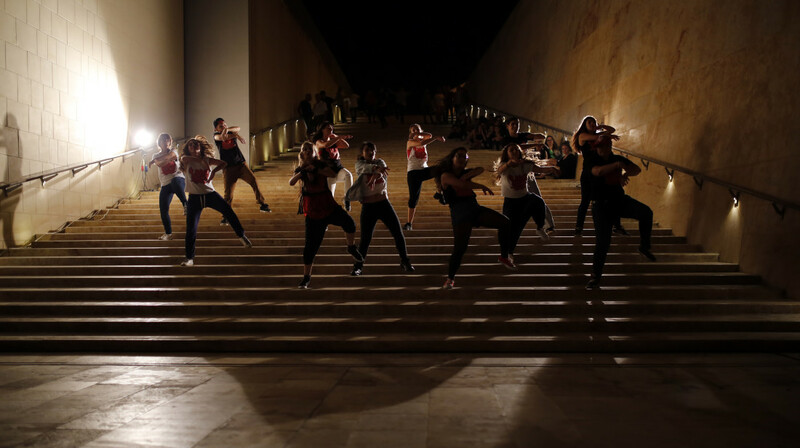 Expect to see hip-hop, parkour, and even street dance flash mobs all over Valletta. And as 2016 saw the passing of two monumental music legends, music fans can enjoy a unique guitar tribute to David Bowie and Prince in Saħħa Bowie, Saħħa Prince. For the first time this year, those who will be going to Valletta on a ferry boat from one of the three cities will also be able to enjoy some music while they wait their turn. There will be classical music in Bormla, rock music in Senglea and traditional folk in Birgu. The Inquisitor’s Palace, the Maritime Museum as well as Fort St Angelo will also be open to the public. Please visit www.nottebiancamalta.org.mt for more information.